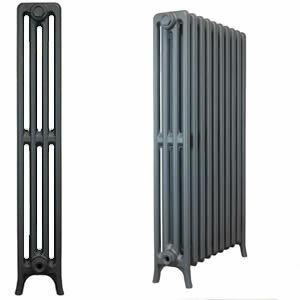 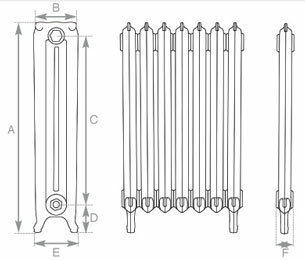 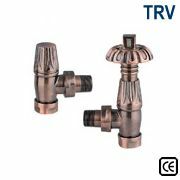 Cast Iron Radiators Sovereign Rococo 970mm is the taller of the two versions of this traditional radiator and is for those larger rooms that require a larger and more striking cast iron radiator. 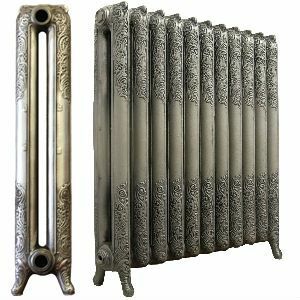 These beautiful decorative cast iron radiators are decorated on the shoulders and feet with elaborate woven mid Victorian pattern. 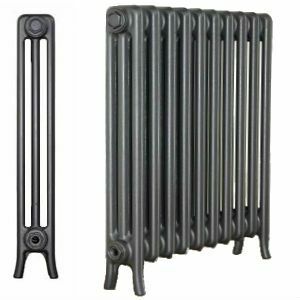 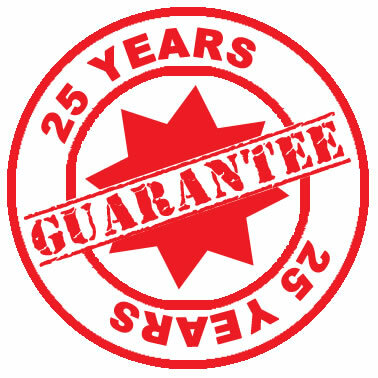 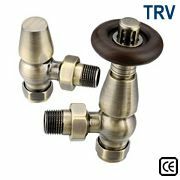 Sovereign Rococo Cast Iron Radiators can be assembled to your exact requirements and finished in a range of colours or specialised finishes. 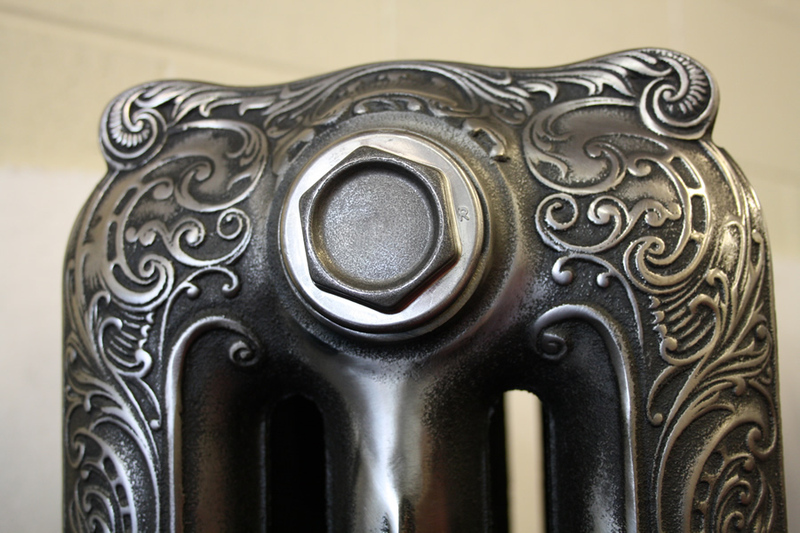 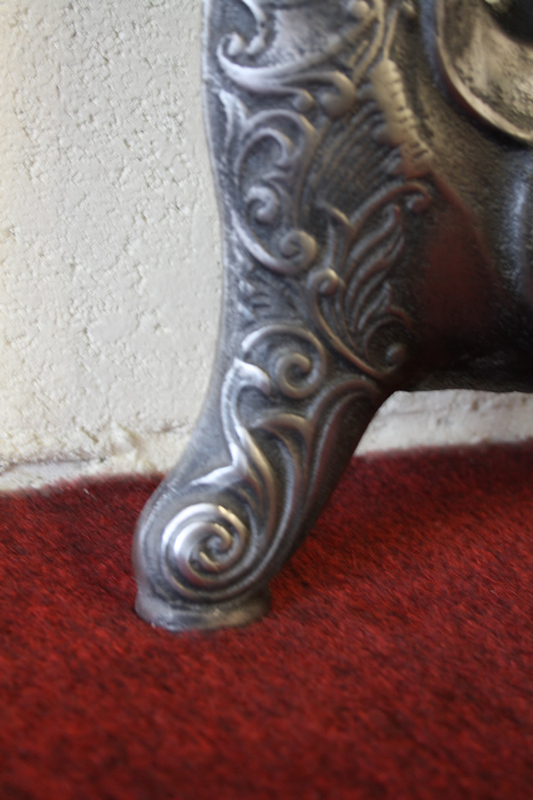 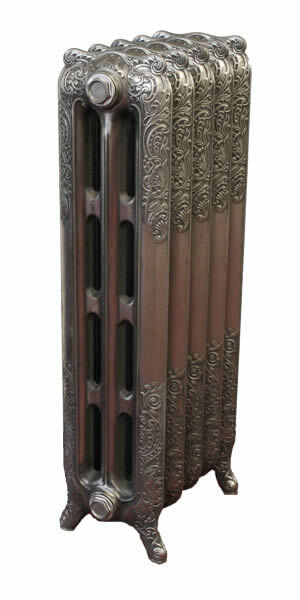 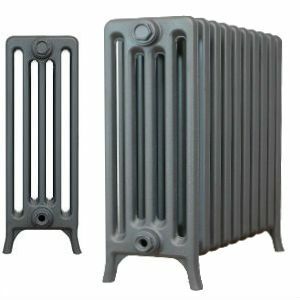 Rococo cast iron radiators look particularly striking when polished or highlight polished. 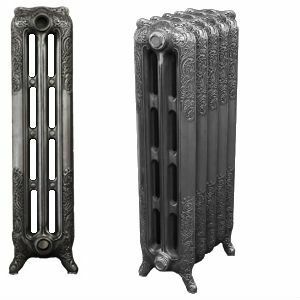 Sovereign Rococo Radiators have a great heat output, a stylish traditional appearance and a build quality that is not bettered by any other cast iron radiator available in the UK.